Filippo Gravagno, PhD, is an Associate Professor in Urban and Regional Planning at the University of Catania. He teaches Urban Planning Techniques in Architectural Engineering (LM-4) five-year Master Degree. He has been part of the Committee for the Doctoral Programs “Urban, Environmental and Architectonical Design and Restoration” and “Environmental Regional and Urban Planning and Design” at the University of Catania, being the Advisor of 9 PhD researchers. He is the scientific coordinator of the LabPEAT (Ecological Planning and Design Lab) at the Civil Engineering and Architecture Department (DICAR), University of Catania. He is amongst the founding members of “La Casa della Città” (The House of the City), the first Urban Center that has been managed by a University in Italy, which has produced several studies and programs for the regeneration of historical areas and other urban spaces in Sicily. He is also amongst the founding members of the Association “Orti di Pace di Sicilia” (Sicilian Gardens of Peace) and “G.R.A.S.P. (Group of Relational Action for Solidarity and Participation) the Future Life Environment”. Gravagno is the author of 8 books and more than 40 publications. His main research interests focus on environmental regeneration and practices of community-engagement in regional and urban planning decision-making processes. 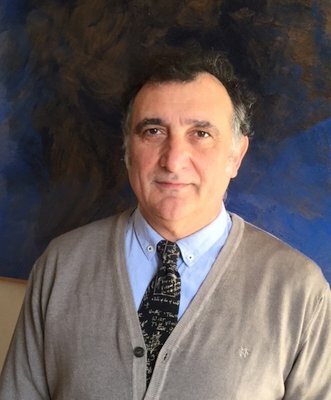 Moreover, Gravagno has been Assessor for the Municipality of Zafferana Etnea and he is a member of “Istituto Nazionale di Urbanistica – INU” and of “Centro Nazionale di Studi Urbanistici”.